LaFlamme Studios is an indie developer of video games and other media for mobile devices, web and the PC, based in Oshawa, Ontario, Canada. LaFlamme Studios is a one-man operation run by Michael LaFlamme, the sole proprietor and founder. After graduating from two years of college in 2002 and a handful of programming jobs, technical support, and some not so great customer service jobs, Michael had a vision -- to create the most epic (and perhaps over-ambitious) business venture of his career. In early 2009, he founded LaFlamme Studios and has worked hard to bring his vision to the world. 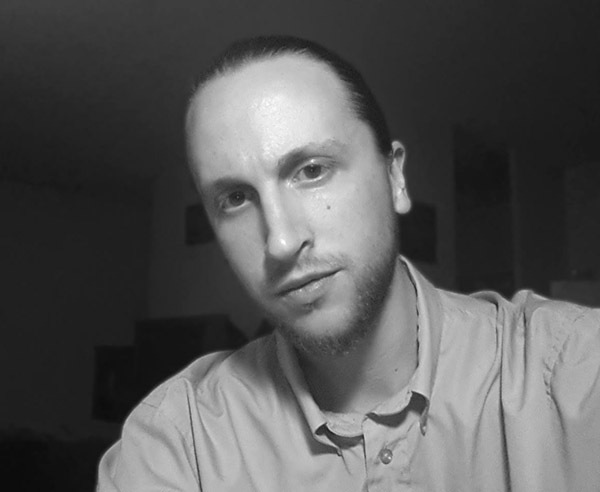 When he's not painting or doodling in a sketchpad, Michael spends much of his time on the computer puttering away in Adobe Photoshop and writing code in just about any programming language you can conjure up. Though he feels at ease programming mostly in C and Java, he is well versed in such languages as Perl, PHP, ASP, Basic and even COBOL. With a good background in managing databases in SQL and web development, there is no project Michael can't tackle. His only limitation is the amount of time he has to make all the ideas bouncing around inside his head a reality. Copious amounts of coffee definitely helps. Most of his efforts are currently focused on developing mobile apps. 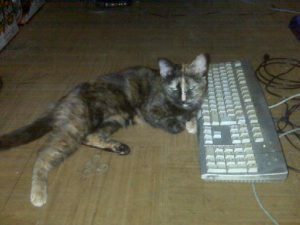 Vicious has been into computers ever since the day she got ahold of her first mouse. From that point on she has been attacking every challenge with cat-like skills. Having a background in the art of management, she knows the value of allocating a healthy balance of work-to-play ratio that works best for the team. When she's not playing boardgames like MouseTrap or lounging around thinking about great ideas. She is making sure the website stays current. With the amount of work being done on the various projects, an element of (in)sanity is required to keep things on track. Vicious has the undertaking of making sure everyone (Michael LaFlamme) is focused when necessary. Every task must be overseen by her and if she is displeased she will let you know by walking all over the keyboard. Ever since joining the LaFlamme Studios team, her contributions have been a valuable asset.